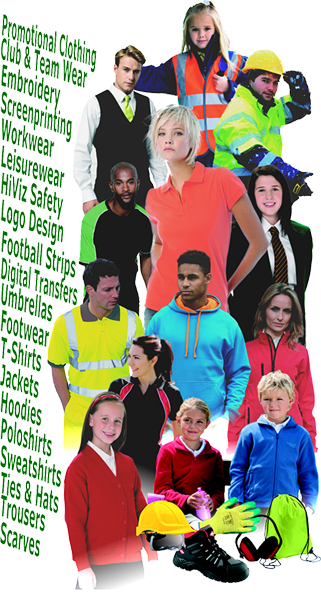 Embroiderers and Printers of all types of Promotional and Protective Clothing to Schools & Colleges, Offices, Factories, Sports Teams, Clubs and Organisations. Based in Dumfries & Galloway and supplying T-Shirts, Sweatshirts, Hoodies, Hats, Bags, Jackets and many other products locally, nationally and internationally. Embroidery, Screen Printing, Digital, full colour Transfers and plotter cut, vinyl Transfers can all be applied to most of these garments. 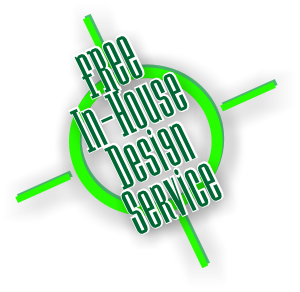 You supply the ideas and we'll create the artwork free of charge for you with our own design facility.